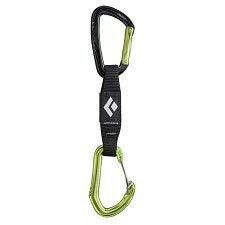 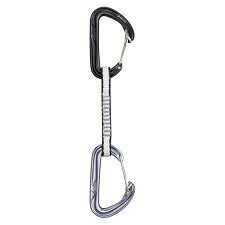 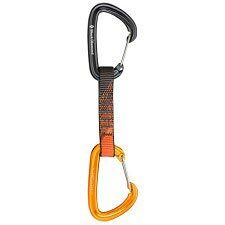 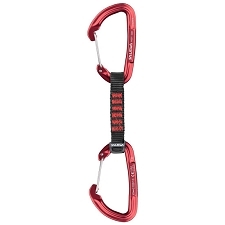 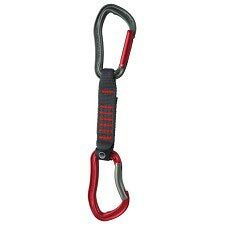 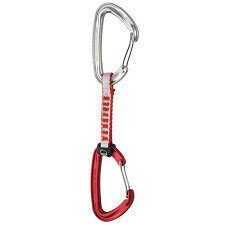 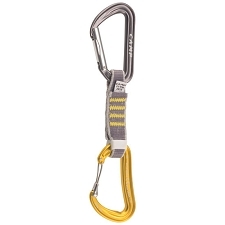 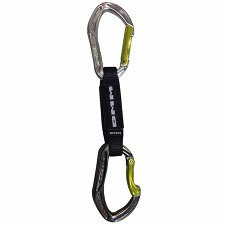 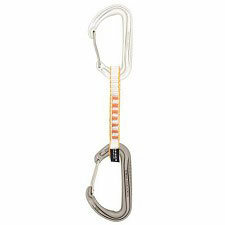 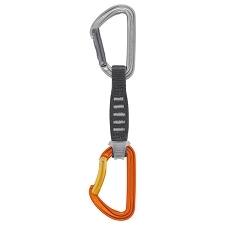 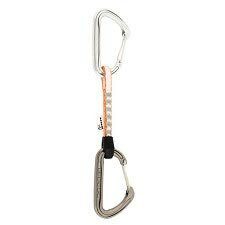 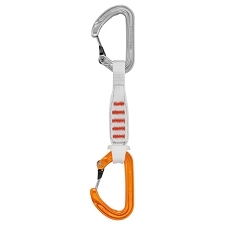 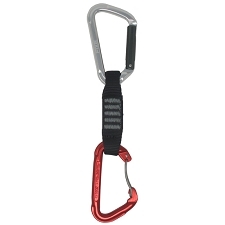 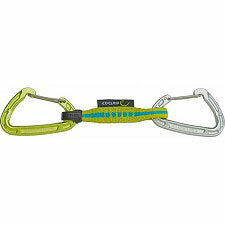 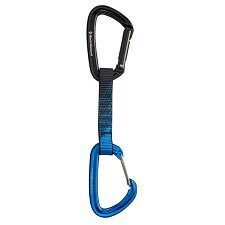 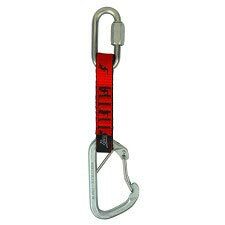 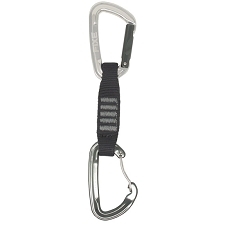 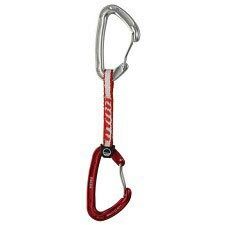 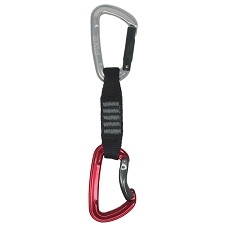 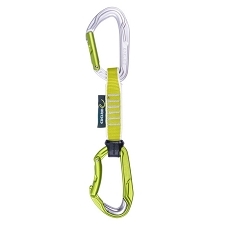 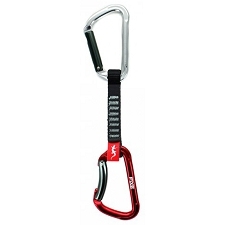 This quickdraw for sport climbing comes with two Nitron carabiners; one with a straight gate, the other curved. 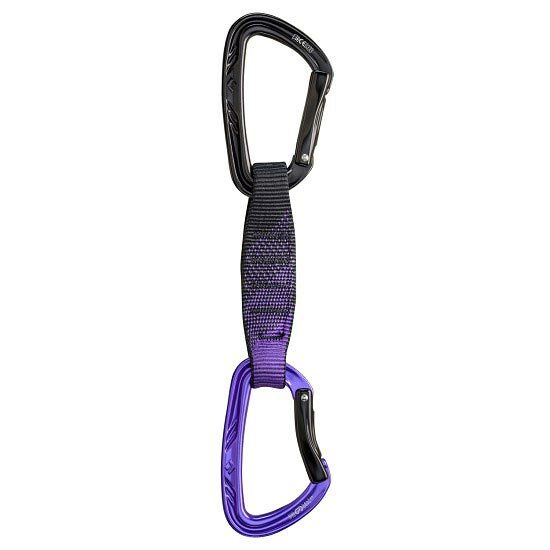 Full keylock quickdraw for snag−free clipping and cleaning, the Black Diamond Nitron Quickdraw features two 100% hot−forged Nitron carabiners and a lightweight, durable 27 mm Vari−width polyester dogbone. 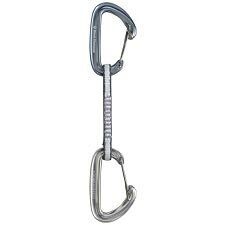 Ergonomic, hot−forged gates make for easy clipping on either the bolt or rope end, and the keylock noses eliminate the hassle when cleaning steep routes. 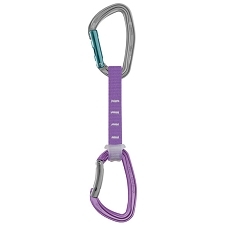 A Straitjacket dogbone insert keeps the bottom biner in the optimal clipping position. 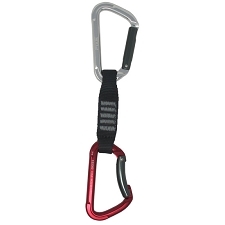 Gate opening (top): 22 mm; (bottom) 25 mm . 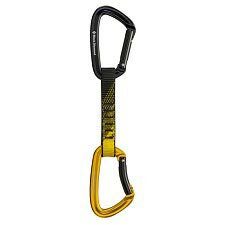 Customer Opinions "Nitron Quickdraw 12 cm"